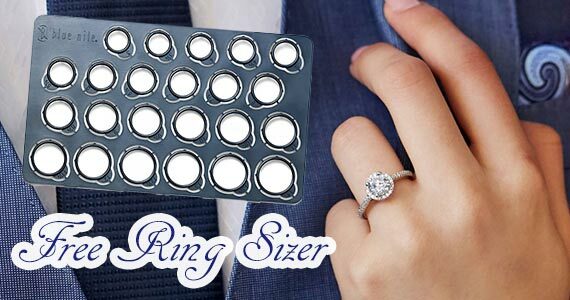 Make sure you get the perfect ring size with this free Blue Nile ring sizer. You can choose to receive a plastic ring sizer through the mail or you can print your own at home with a size conversion chart. Click through and choose your preferred freebie!